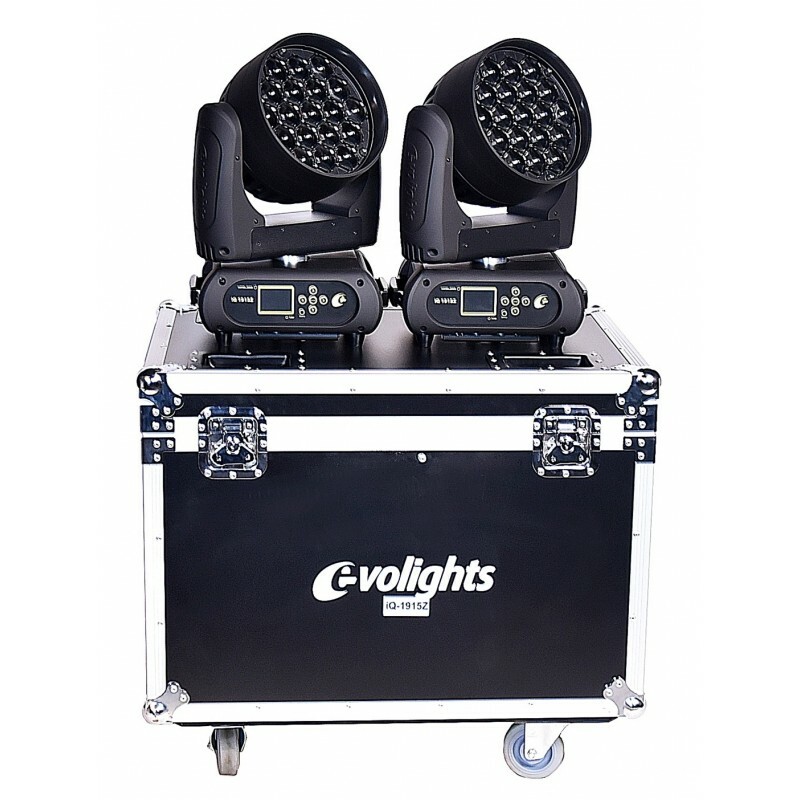 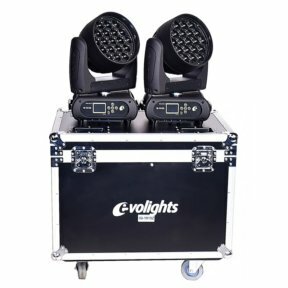 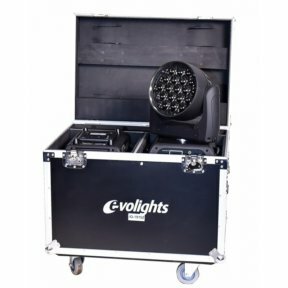 Case dedicated for 2 moving heads Evolights iQ-1915Z (or other similar fixtures), it will properly secure your professional lighting units during storing or transportation. 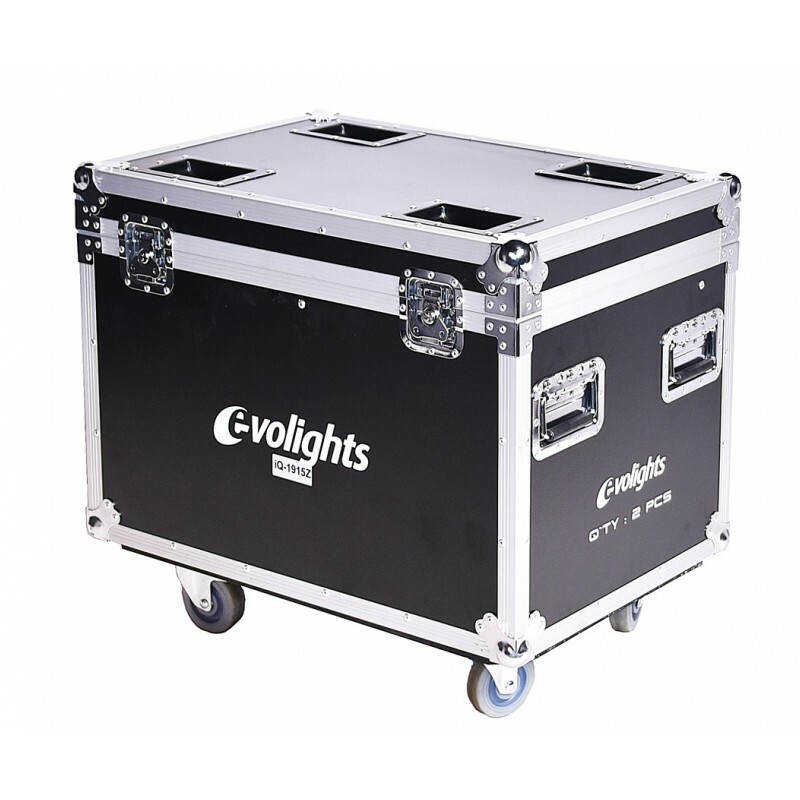 Made of durable plywood additionally strengthened by aluminum fittings is perfect protection for fragile units. 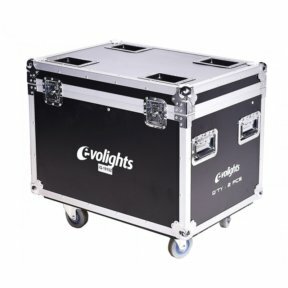 It has been equipped with 4 convenient handles for easier carrying and 4 solid wheels (2 with brakes). 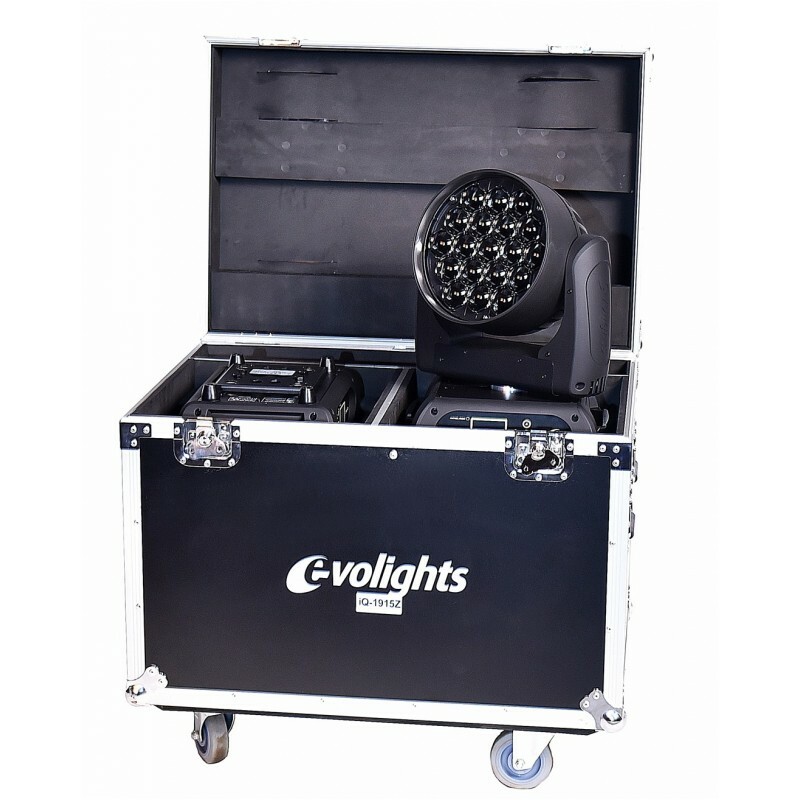 Internal padding protects from scars and damages.